The DCI Ryan series is going from strength to strength and it is nigh on impossible to contain my excitement when a new book is released. 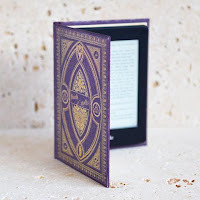 Angel is the hotly anticipated fourth book in the series and whilst you absolutely could read it as a stand-a-lone, you really don't want to miss out on the other books in the series. I feel like I read Angel so fast that I want to read it again, but why stop there? I actually want to read the whole series all over again because it really is that good. 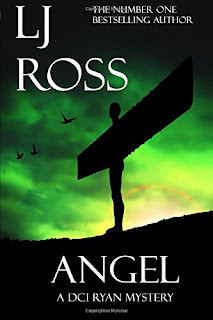 I admit to a slight bias as the series is set in my native North East, but the setting could be anywhere as it is the fast-paced thrills of the amazing storylines that whip DCI Ryan fans into a frenzy. DCI Ryan and his colleagues in Northumbria CID are just getting ready to enjoy their Easter bank holiday weekend when a body is found. What is unusual about it is that it has been left posed as an angel in a freshly dug grave. When another body is found in similar circumstances, it is clear that a serial killer is on the loose in Newcastle. A few miles away in Rothbury, an older lady is found dead in her house. On closer examination the pathologist rules strangulation as the cause of death, the same as the bodies in the cemeteries. Could there be a link? As Ryan and his team go on the hunt for a killer, they find that it's not just the cause of death that links all of the victims...but the colour of their hair. All of the 'angels' were redheads, just like Ryan's colleague, Denise MacKenzie. Unbelievably fast-paced, Angel ends on such a cliffhanger that would have had all readers, including myself, screaming "Nooooooooooooooooooooo!". Not just because of what happens at the end but because the book itself had come to an end. And the award for the most suspenseful ending of 2016 goes to.....LJ Ross. I took my copy of Angel on a little tour of the North East on a rare sunny day and ashamedly paid my first visit to The Angel of the North. I actually live a few minutes away from this impressive landmark and, although I had driven past it on numerous occasions, had never actually been up close. I was also intrigued by the church mentioned in the book, during the brilliant earring search - St Andrews. I remember the old bus station in Worswick Street but I never realised there was a church opposite until it was one of the settings in Angel. The church itself is quite impressive and a hidden gem in the city of Newcastle. During my visit, I also learnt that Worswick Street was named after Father James Worswick who founded the church in the 18th Century. Angel is an affectionate virtual kiss for the North East. So many areas of this beautiful part of the country are mentioned. If you haven't read Holy Island, Sycamore Gap and Heavenfield I urge you to add these books to your reading list - you really won't be disappointed. With this fourth book in the scintillating DCI Ryan series, it is no surprise to find LJ Ross repeatedly and deservedly positioned at the top of the Amazon charts. As I am on tenterhooks for book five, I might just have to read all four books again to satisfy my DCI Ryan craving. I think there should be a Ryan Anonymous group for all of those struggling to cope with the cliffhanger in Angel - hello my name's Michelle and I'm a Ryan addict. These books are my most recommended to friends and family and I truly cannot wait for the next instalment. I chose to read an ARC of Angel and this is my honest opinion.